President Trump has taken another swipe at Amazon, tweeting that it is damaging "towns, cities and states throughout the U.S.," paying no taxes, and killing jobs. His tweet: "Amazon is doing great damage to tax paying retailers. Towns, cities and states throughout the U.S. are being hurt - many jobs being lost!" Why Trump is wrong: As of April, Amazon does collect taxes on goods sold from its own inventory for every state in the union that has a sales levy. Why Trump is right: Amazon has been a buzzsaw through big swaths of traditional retail, including brick-and-mortar bookstores, department stores and apparel shops. Tens of thousands of jobs have been lost, along with sales taxes that fund local services. And Amazon doesn't collect sales taxes on goods sold by third-party affiliates, unless it is contracted to do so by those sellers. Amazon declined to comment, but has said previously that close to half the items sold on its site are from third-party affiliates. A legal grey area: In the case of product sales across state lines, sales taxes are collected only if that business has a significant presence, like a factory or warehouse, in that state. Otherwise, the customer still technically owes that tax, but only very rarely is the state able to collect. The economic impact: As e-commerce has grown, so has revenue generated by selling goods across state lines. For years, this enabled many retailers, including Amazon, to offer lower prices by not collecting sales taxes. According to Richard Cram of the Multistate Tax Commission, third-party sellers on Amazon are avoiding more than $1 billion annually in sales taxes across the country, giving those dealers an unfair advantage on brick-and-mortar competition, and robbing local governments of revenue. 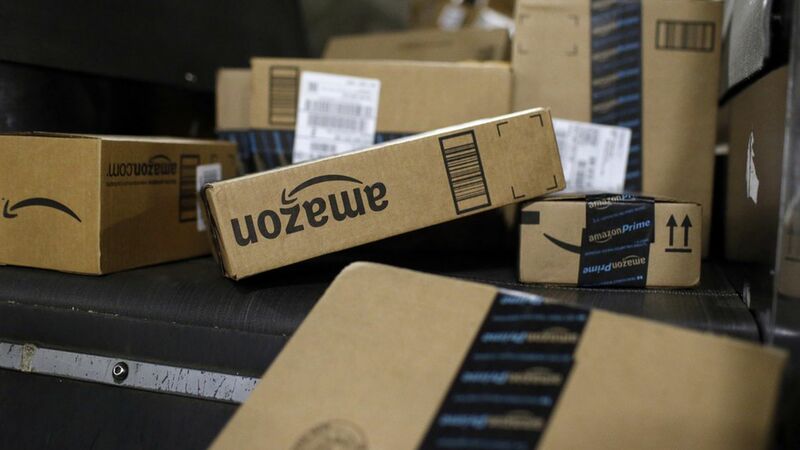 Amazon itself, however, now pays sales taxes in all sales-tax states, and has publicly supported the Marketplace Fairness Act, which would allow states to require out-of-state retailers to collect sales taxes. The latest iteration of the act would exempt companies with less than $1 million in annual revenue, so even if this legislation passes, a significant number of third-party sellers could avoid collecting sales duties. Our thought bubble: If Trump were truly concerned about this sales-tax loophole, he could get behind the bipartisan bill, reintroduced in the Senate in April. More likely, however, he is only taking the opportunity to tweak Amazon and its founder, Jeff Bezos, who owns the Washington Post, which the president has accused of being unfair to him.